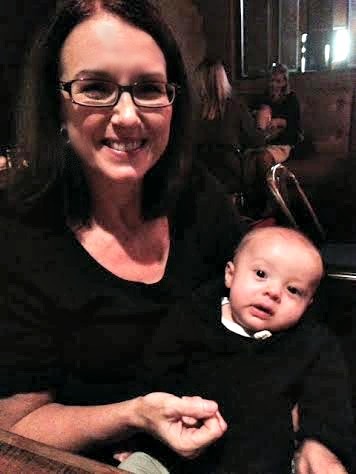 Recently, my mom, Elliott, and I went out to eat to a new place in the South End neighborhood called Nan and Byron’s. 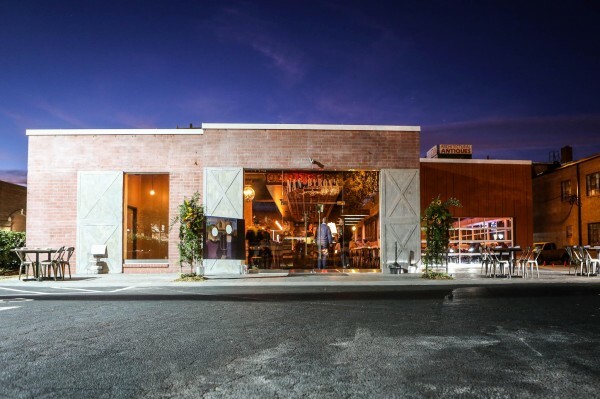 The new restaurant is located in the old Vinnie’s, but man did they improve upon the building. It was a total gut job. Vinnie’s was a super casual oyster bar, while Nan & Byron’s is modern, but in an American craftsman kind of way. I was happy to see that they left the old garage door (on the left) from Vinnie’s. The original building reminded me of an old garage, which it might have been years ago. Now, it’s definitely one of the coolest places, architecturally speaking, in South End. 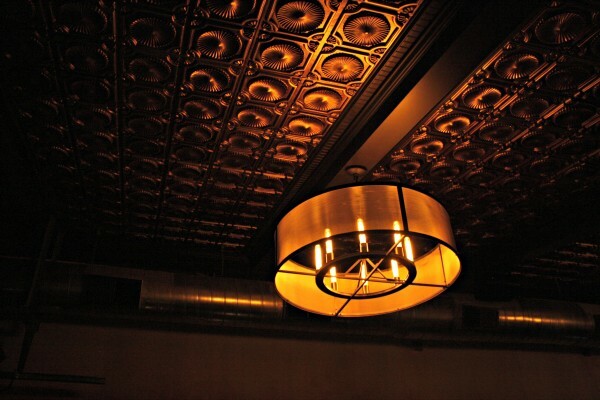 I LOVE the tin tile ceiling. The interior is more casual than 5 Church, their sister restaurant, but still very cool. 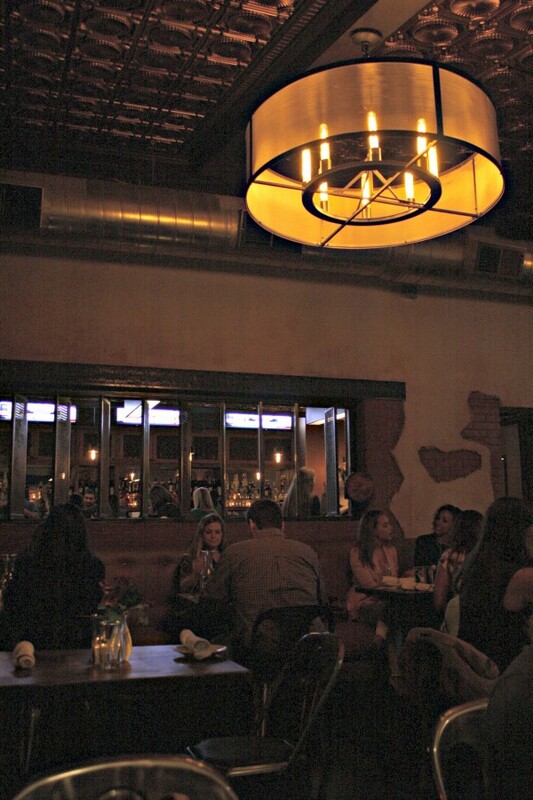 The feeling is pretty intimate and the tables are a little close together, which reminds me of eating out in Europe. 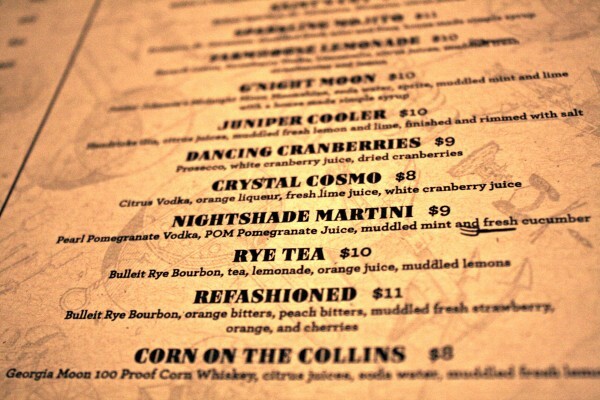 I learned about a year ago when I interviewed one of the owners of Nan & Byron’s for a Creative Loafing article, that Nan and Byron’s wants to be known for their cocktails. So throughout our meal (which was a sneak preview), we were provided tastes from their cocktail menu. I’m not a huge cocktail fan, but everything we had was pretty tasty. I don’t like cocktails that are too sweet or too strong and these had a nice balance. 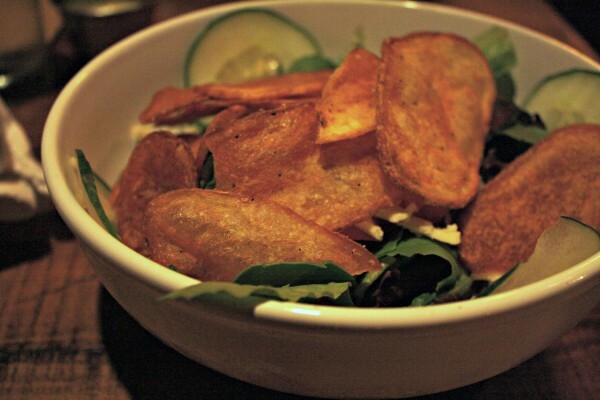 I have to say YES to homemade potato chips in a salad! They’re so much better than croutons. 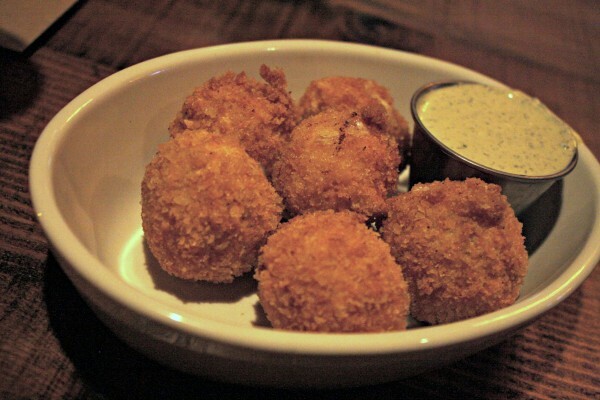 We also ordered Peppedew Poppers. These were so yummy, but you know, what isn’t that’s breaded and fried? Nan and Byron’s seems to do a lot with peppedew peppers. 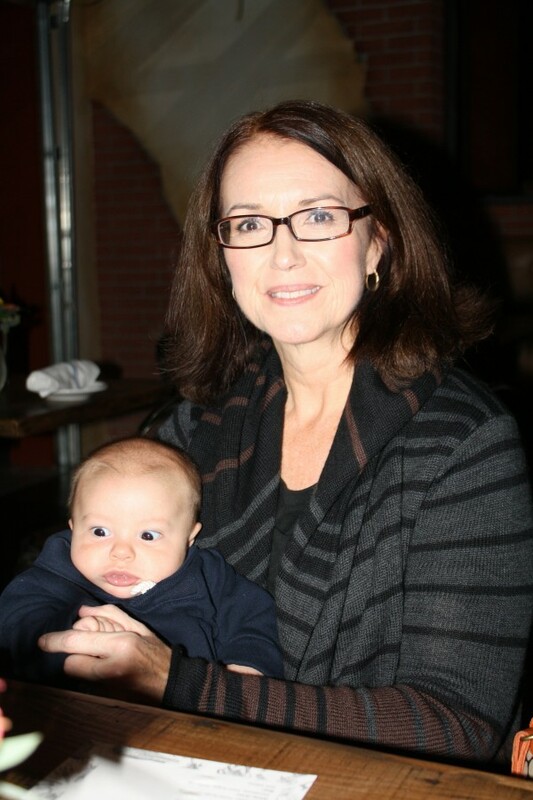 The flash on my camera made Elliott have bug eyes. For my entree, I had the Chicken. 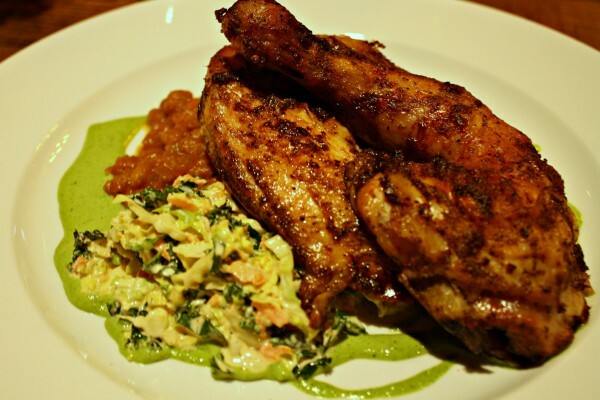 Roasted chicken is one of my very favorite things to order anywhere. And the Peruvian spices did not disappoint. As for my sides, I got the baked beans which were just the right amount of sweetness and the coleslaw, which was also very good. Mom had the meatloaf and thought the Sriracha ketchup was a little too spicy for her. But my mom has a very low tolerance for spiciness. I thought it was just perfect and I don’t like really spicy food. Another thing I liked about the meatloaf is that it was very dense and it seemed like it was sliced and then pan fried which seared both sides of the meatloaf. Traditional meatloaf, of course, is baked and then cut. I liked that crusty texture of Nan and Byron’s version. We were very easily talked into dessert. Mom got the Cheesecake. I would love to tell you what this was like, but I have no idea. 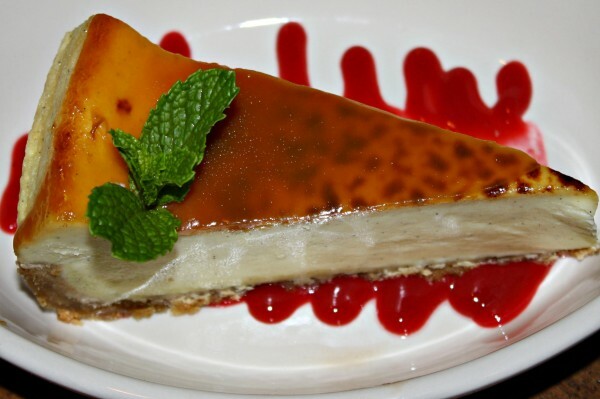 I was so enamored with my dessert, the cheesecake would have completely slipped my mind if I didn’t have a photo of it. I got the brownie which was a cross between a brownie and a chocolate truffle — SO rich! Notice that a bite has already been taken? I just couldn’t resist. 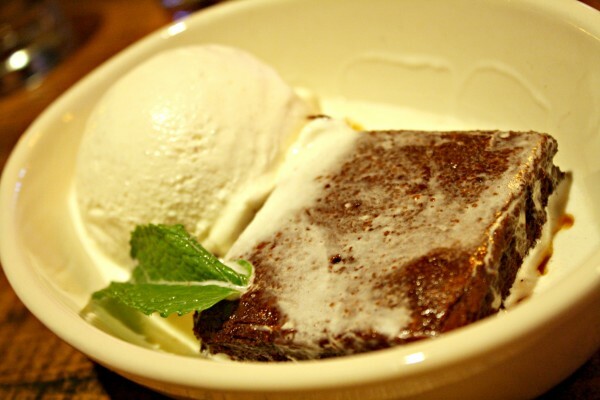 One of my very favorite things is a rich, hot chocolate brownie with vanilla ice cream. This was one of the best desserts I’ve had in a while and I would definitely go back just for this. However, on my second trip, I was sad to find out that their desserts rotate so you can’t get this dessert every night. 5 Church and Nan & Byron’s has the same chef, so I think Nan & Byron’s will rotate their menu seasonally like 5 Church. They are open for lunch and breakfast. Charlotte definitely needs more breakfast restaurants, so I’m excited to eat their soon. I love breakfast so much.